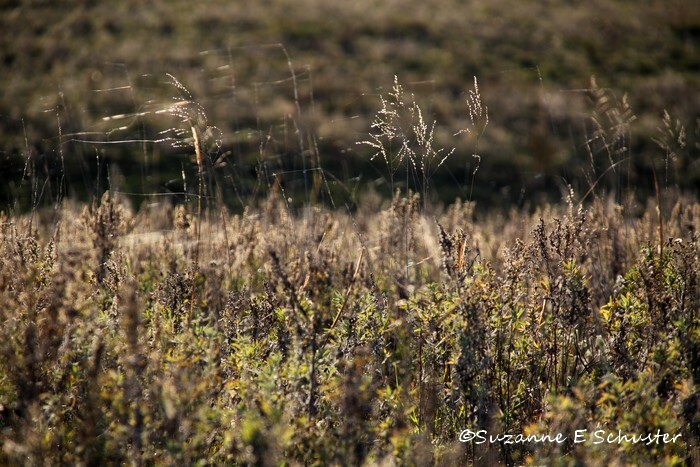 Come every fall, the nutrient quality of the grass at the summer pasture goes down, the nights grow colder, and it’s time for the cattle to come home. We get them home via semi trucks. To get them on the trucks, first we have to get them into a smaller space than the 200 acres of the pasture. 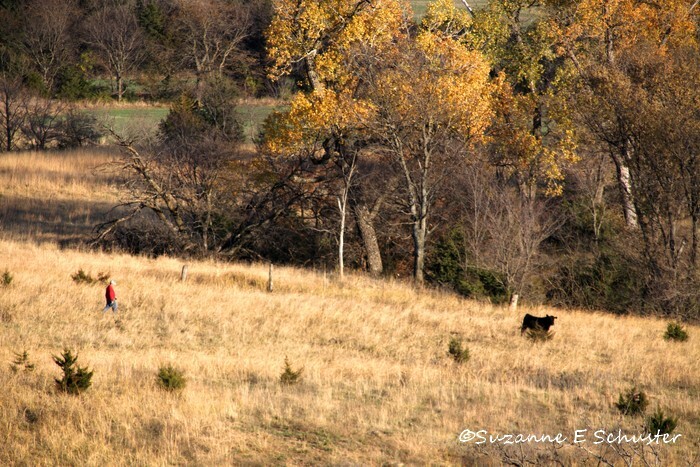 There is a corral built by Harland’s dad near the road gate and the cattle need to be coaxed into the corral. Harland does this by calling them up to the corral and then feeding them grain as a reward. 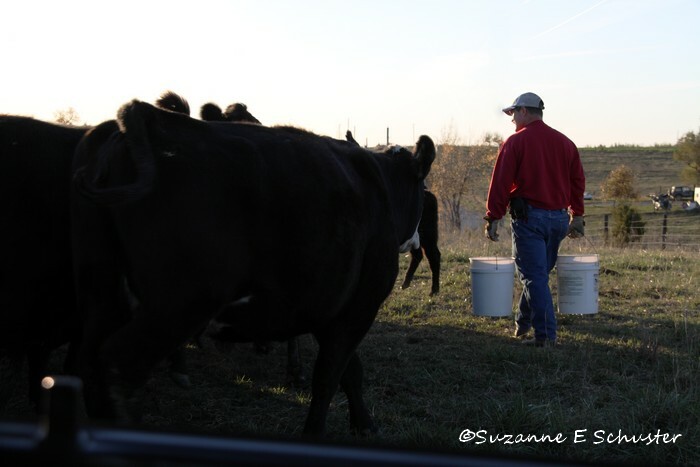 He calls them up regularly in the weeks leading up to the move, as practice is needed for some of the cows and a lot of the calves who have never been called up before. 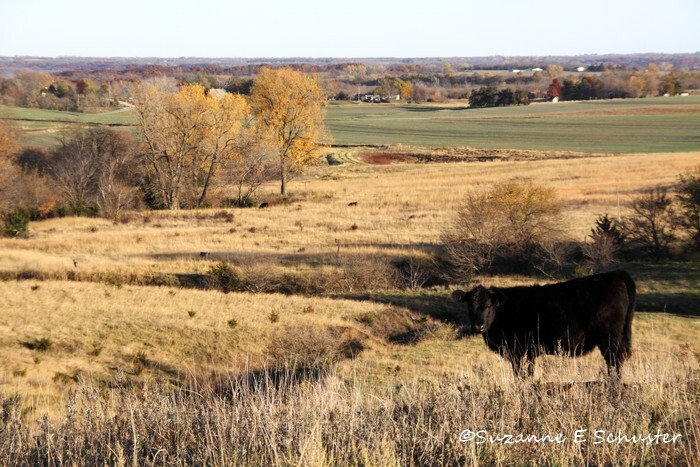 The day before the cattle are loaded on the trucks, Harland drives out to the center of the pasture and calls them in for the last time. As the cattle gather round the truck he drives up to the corral with the cattle following along behind. Kinda like the Pied Piper. 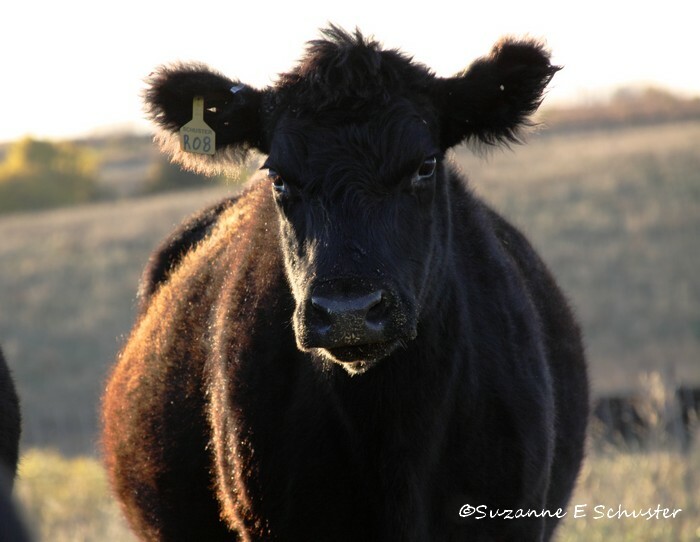 Fortunately, most of the cattle are all ears and eyes, hanging on every move Harland makes, following him around like big dogs. Once everyone is inside the corral, Harland pours out the grain, and while the cattle are busy munching away with their heads in the troughs, Harland closes the corral gate. The cattle have been caught, and they don’t even know it. Oh, the power of grain. The next morning at sunrise, we load the cattle onto the trucks for the ride home.